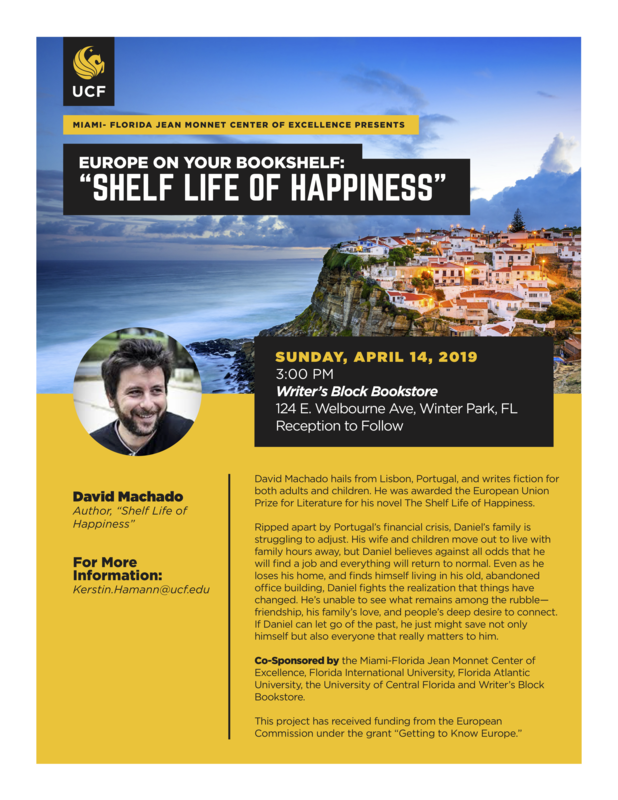 David Machado hails from Lisbon, Portugal, and writes fiction for both adults and children. He was awarded the European Union Prize for Literature for his novel The Shelf Life of Happiness. Ripped apart by Portugal’s financial crisis, Daniel’s family is struggling to adjust. His wife and children move out to live with family hours away, but Daniel believes against all odds that he will find a job and everything will return to normal. Even as he loses his home, and finds himself living in his old, abandoned office building, Daniel fights the realization that things have changed. He’s unable to see what remains among the rubble— friendship, his family’s love, and people’s deep desire to connect. If Daniel can let go of the past, he just might save not only himself but also everyone that really matters to him.